We were starving, after checking in our hotel, we came across this restaurant while walking around and decided to give it a try. From the exterior our meal most probably will involve octopus, once entering our guess was true, they serve octopus as main course hence saving all the trouble ordering without speaking nor reading Korean. The meal was superb, although the owner doesn’t speak nor understand English, she was very friendly and make sure everything was fine for us. 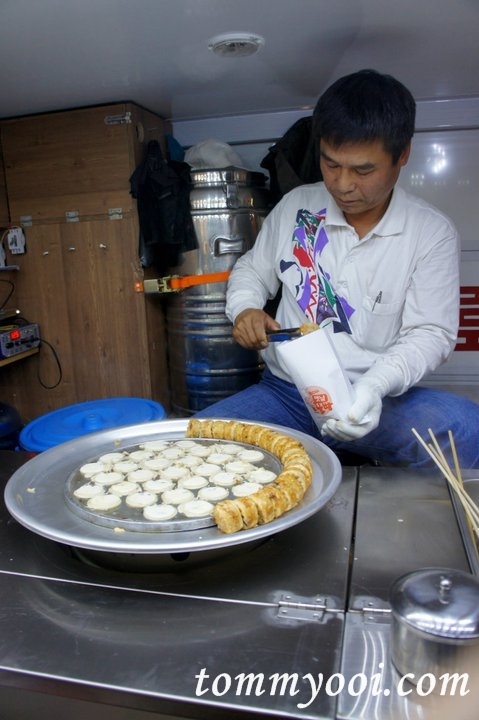 Luckily, I learned some simple Korean phrases which did pretty well for our Korea Travel. 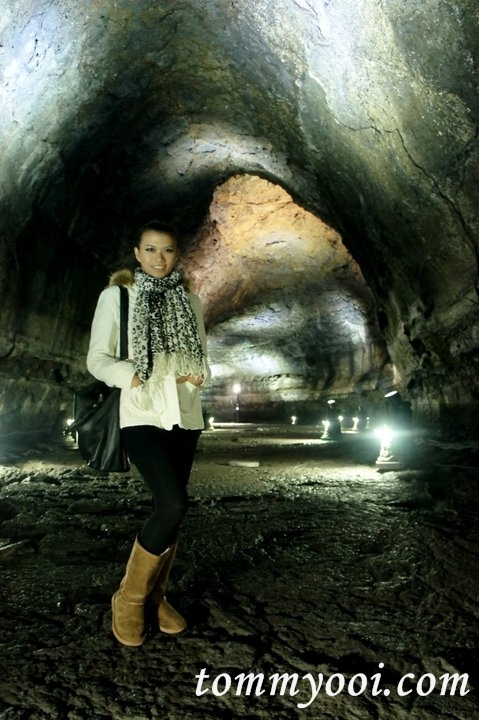 Our next sightseeing destination would be Manjanggul Cave. We took public bus from Jeju-si bus center. 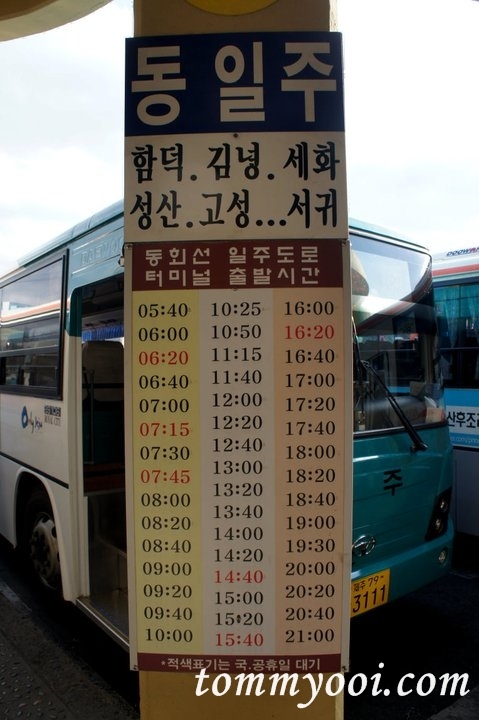 To avoid boarding the wrong bus, we asked the driver “Manjanggul Cave?”, he nodded and we boarded. Before the bus took off, the driver’s action caught us by surprise. He stood up, bowed and spoke to all passengers (something like self introduction and hope you enjoy the ride). Lol. The journey to Manjanggul Cave took about 35 mins. 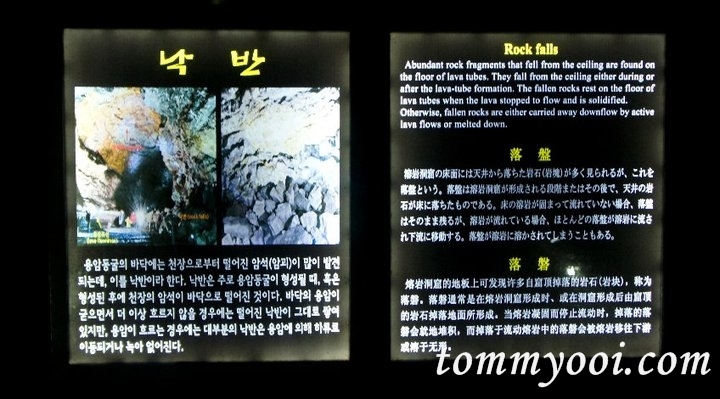 Once arrived the bus stop, the driver shouted “Manjanggul Cave” to inform us we have reached. 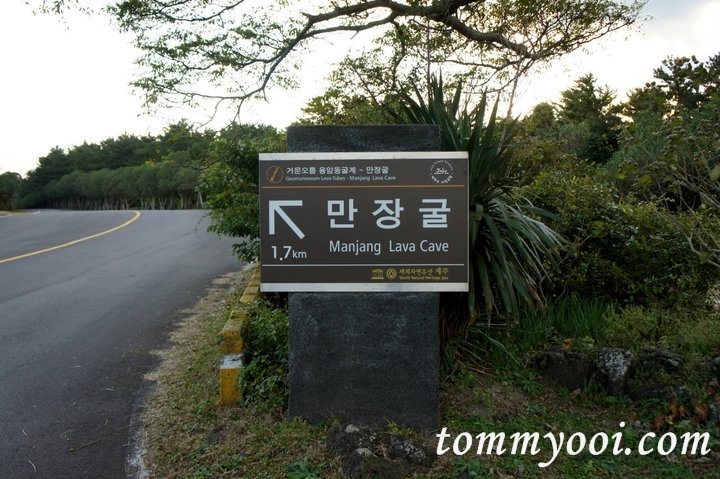 The distance between bus stop and Manjanggul Cave is about 2km. It is advisable to take a cab here or from the bus stop. We tried walking, but then gave up and took a cab instead. 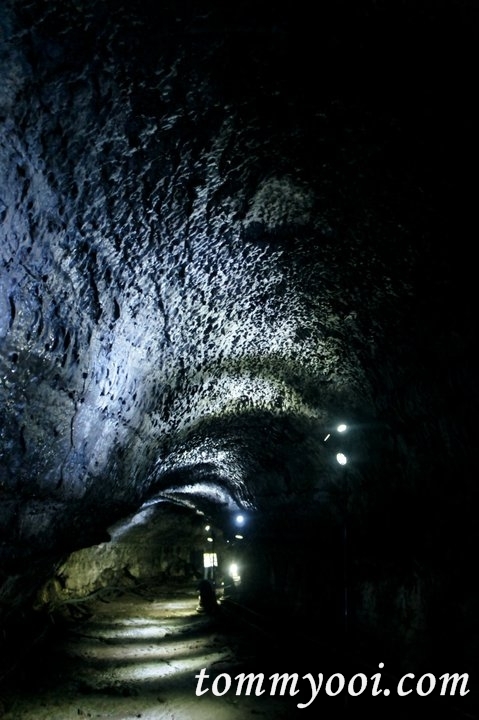 Manjanggul Cave is the longest lava tube in the world. 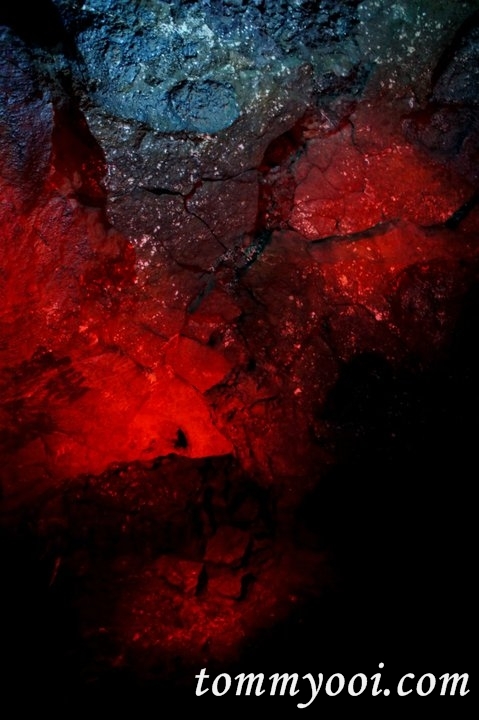 It is 5 meters wide, between 5 to 10 meters high and is over 13 km long. The lava tube, which formed about 2.5 million years ago, has been well preserved, revealing a splendid interior that is out of this world. Only one kilometer of its total length is open to tourists. By the time we completed, it was almost late evening, it was getting dark. The idea of walking 2km is no fun at all but there were no taxi. Luckily we saw a car heading out, and we stopped them and requested to give us a lift to the nearest bus stop and they agreed without hesitating. 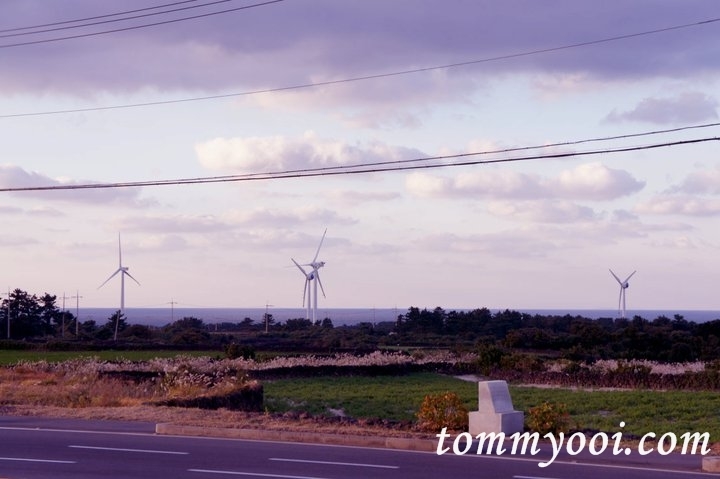 Lucky for us, then we took the bus back to Jeju-si. From our hotel, we wander around. 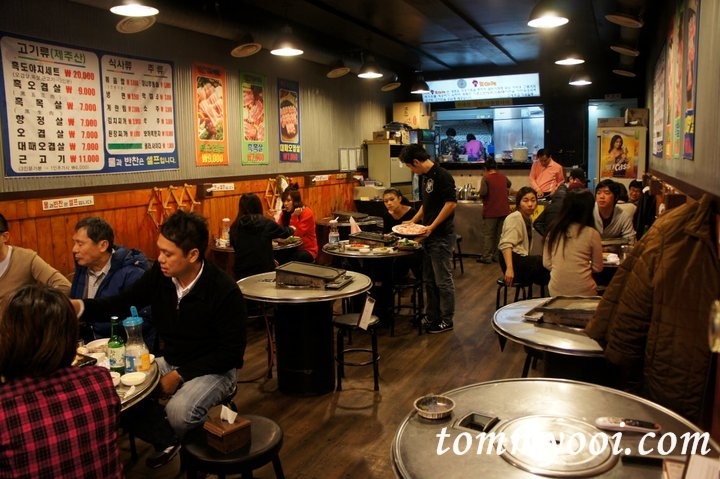 While wandering, we happened to come across another Korean BBQ specialize in Jeju Black. 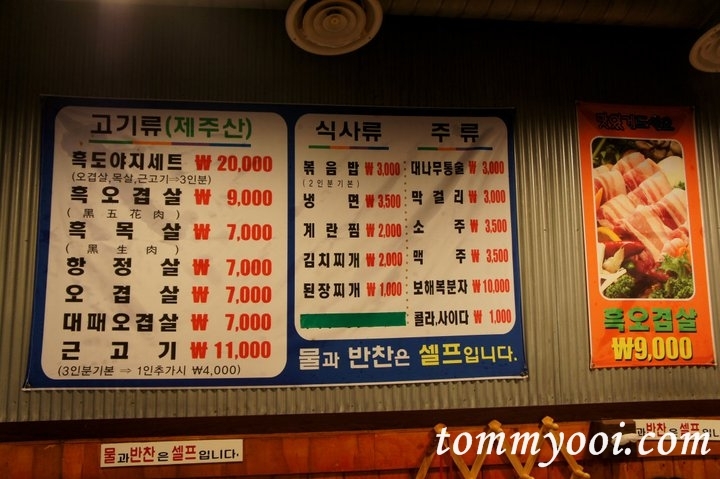 The price of food is reasonable in this restaurant. One of the worker speaks Chinese, hence it was not difficult to order. After the sumptuous meal, we went shopping at a nearby supermarket before heading back hotel to rest. Our itinerary for tomorrow —- Busan !! Hello Tommy, where your gf bought her winter coat? It’s very nice! I am planning my trip and using your Seoul, Jeju and Busan ideas. Excellent. Can you rent a scooter to see these places? Great information. Any areas in between should I take a train from north to south or Nami Island? how long do you think we need to stay in South Korea for us to travel the 15 attractions you posted? 🙂 it is really nice!